A local company specialising in at-home care for the elderly, is set to create 40 jobs before the end of the year. Dawn Sime, the owner of Home Instead Senior Care in Crewe is keen to recruit a huge number of new caregivers to help provide high-quality care for the local community. 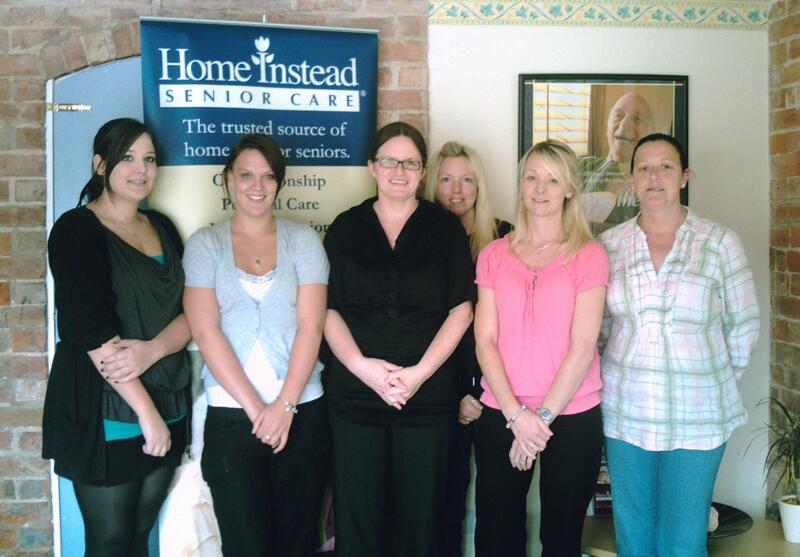 Home Instead has now been providing at-home care for individuals in the local community for over 4 years. The team has witnessed a huge increase in demand for this kind of care that allows for prolonged independence, stability and security. Photo caption: Home Instead’s latest recruits meet with care manager Kirsty Worrall and senior caregiver Sam Gough. From L-R: Harriet Fischer, Stephanie Smith, Sam Gough, Vicky Jones, Kirsty Worrall and Janet Thomas.